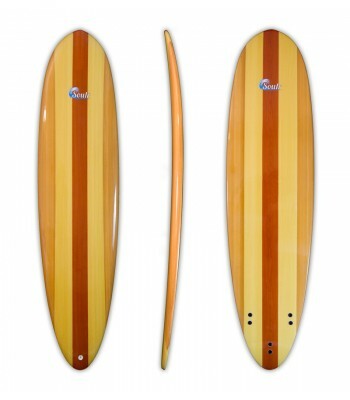 --- Please Select --- 7'6" x 21.75" x 2.75"
Nothing beats the look of this retro woody! And you'll enjoy long rides and quick turns on this funboard, thanks to the generous amount of foam and the progressive profile. 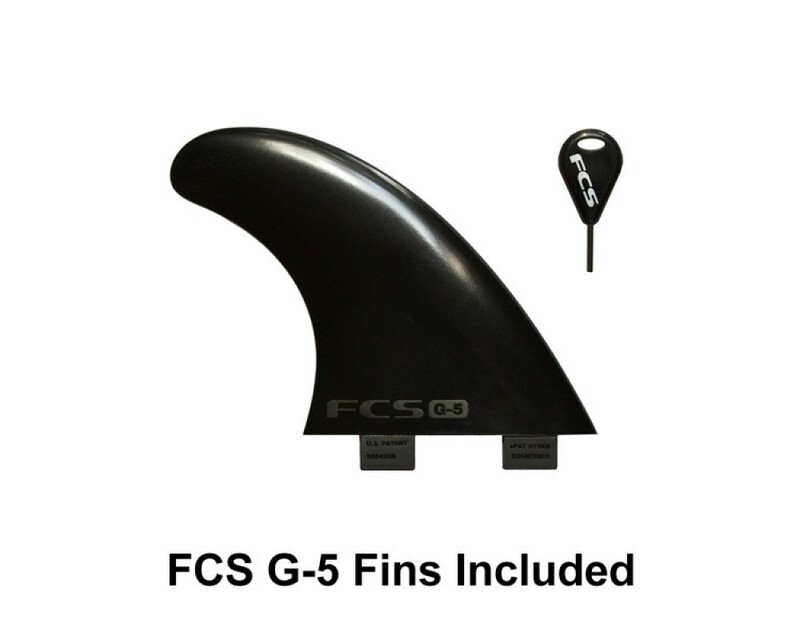 The single-to-doulble concave on the bottom helps this board get up and going fast, while the FCS thruster fins let you build speed down the line. This a great all-around board. Whether you're an advanced surfer looking for something fun, or a beginner who's looking to step down from a longboard, the Soulr Woody is a great choice. 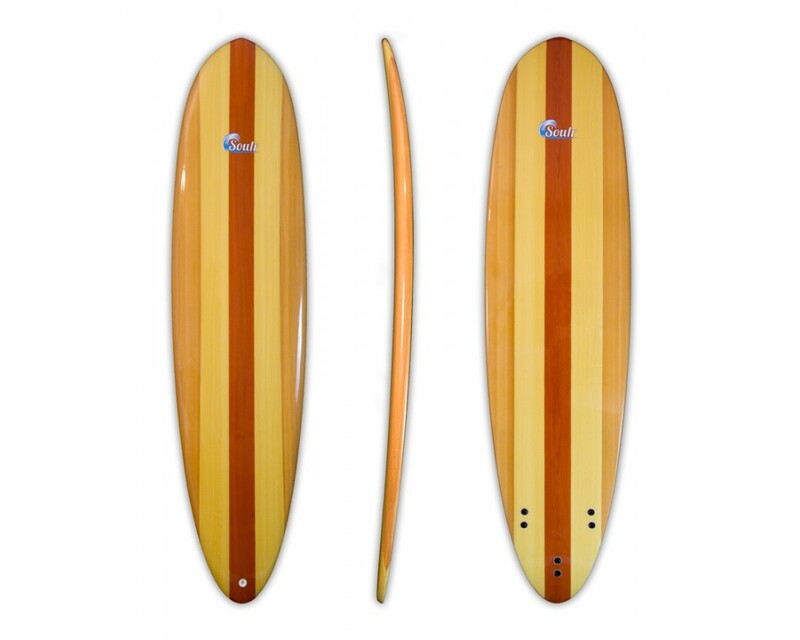 Length 7'6" x 21.75" x 2.75"